To 99% of founders, you’ve got it made after you achieve product-market fit. Then, all you need to do is pour cash into acquisition and collect your $10M Series A check—or so conventional wisdom goes. These founders and their companies will start to scale, but then prematurely plateau. When cash starts getting tight and they can’t spend to acquire customers, their growth begins to collapse. 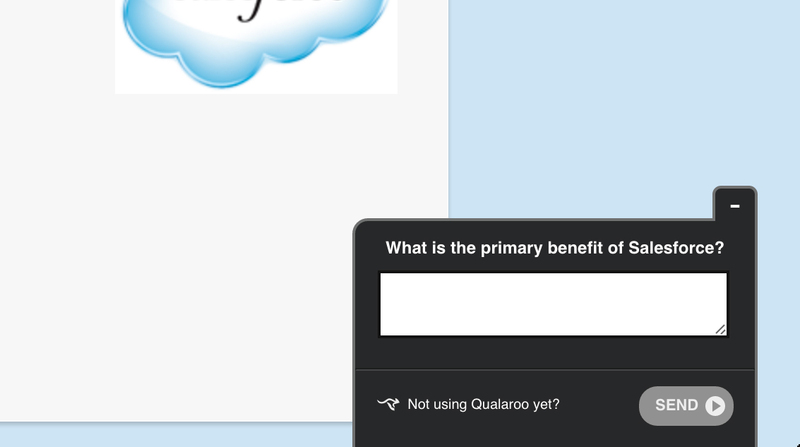 They’re forgetting one absolutely critical prerequisite to authentic growth: Unlocking Organic. The foundation of every sustainable growth engine is growth that happens naturally, through organic word of mouth. Sean has spoken a lot about frameworks for scaling growth and finding product-market fit. But never about how how to supercharge that often overlooked “middle stage” that bridges the two: organic growth. I recently had the privilege of sitting down with Sean and learning extensively about his secret framework for unlocking organic growth—something he might have kept secret for his consulting practice. But now that Sean is busy with other endeavors, he’s graciously revealed it for us all. Use insights from those passionate users to shape the onboarding for future users. Assuming there is significant user passion to start with, those two things start a flywheel effect, resulting in massive organic growth. By aligning your messaging and onboarding with insights collected from your “Must Have” users, you build momentum toward the unique benefit of your product. If, at the same time, you are able to reduce friction, you will maximize the percentage of users that reach the “Must Have” experience. Use the following 6 step process to make this happen. What’s exciting about this process is that it doesn’t involve hiring an expensive copywriter or being the most incredible product person in the world. Instead, we’re going to ask our most passionate users to tell us why they love our product, and we’ll play that same language back to future users. In order to unlock organic growth, identify a group of users that have reported that they cannot live without your product. This group is your “Must Have” users. Your “Must Have” users hold authentic insights about your product’s most important benefit. These insights are more valuable to organic growth than your preconceived notions of the value that your product will deliver. We’re going to segment out these “Must Have” users, drill down into their feedback, and use that to change our messaging and onboarding. 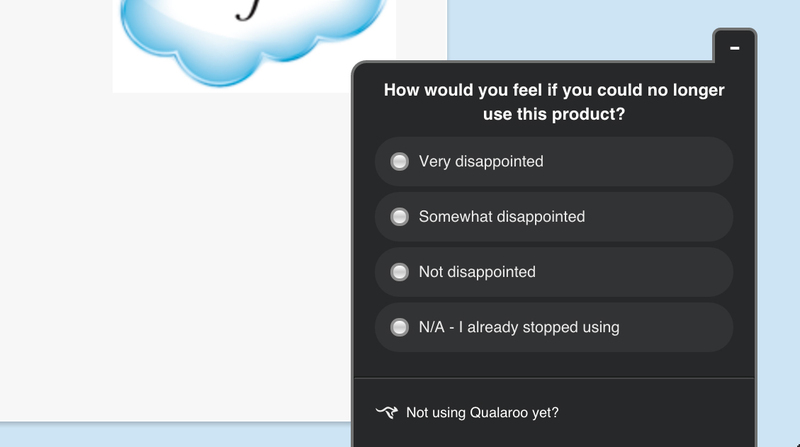 Implement an in-app survey and ask, “How would you feel if you could no longer use this product?” Those that answer “Very disappointed” are your “Must Have” users. 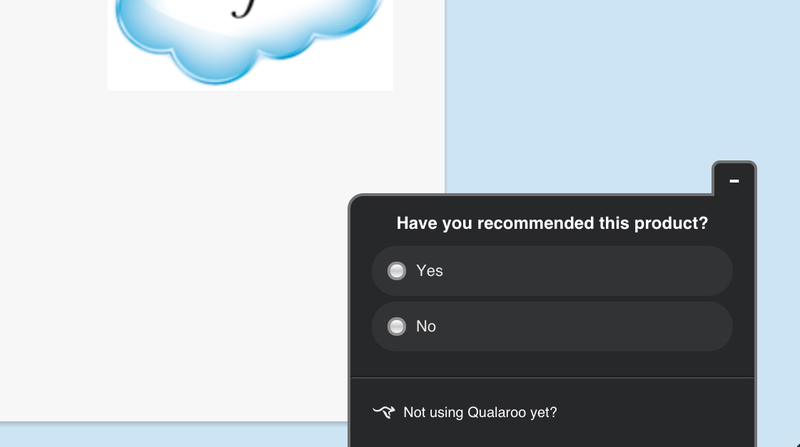 Split your “Must Have” users into two groups and have your first group fill out an open ended survey question. We’ll then ask the other half the same question with multiple choice responses (sourced from the initial respondents). Here’s the trick: Group your responses into 3-5 buckets as best as you can, and then ask the same question to the second group, reframing the responses into multiple choice answers. User responses give us 100% user-focused language that others like them will respond to. By sourcing your key benefits and learning why they are important from your “Must Have” users, you’ll end up with value propositions for specific areas of your website. Sean warned to be careful with the responses you gather here. Often the original intent users had is somewhat different from the core benefit that your product actually delivers. Part of the art of effective messaging is to tap into broad intent in the market and steer it toward your product’s must have benefit. This often requires artfully weaving messages together. 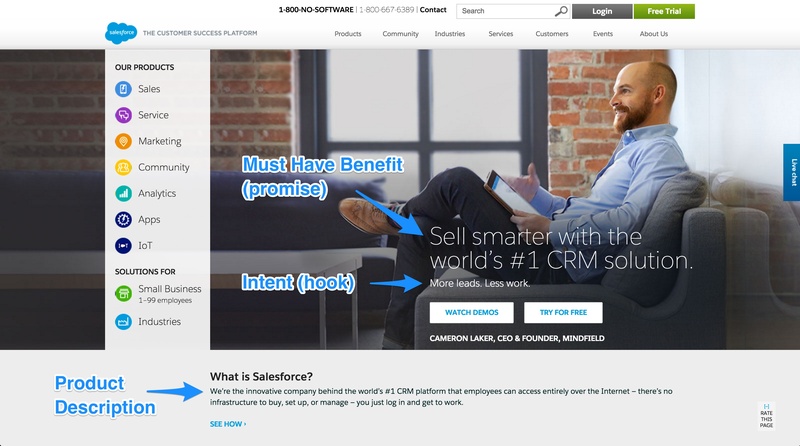 The main benefit that you get from asking your users’ intent is some solid ideas for testing your hook. Your last survey will help you crowdsource your product’s description from those “Must Have” users who have recommended your product. Awesome. Now that you have all of the insight you need, it’s time to implement it into your messaging. Study survey responses and look for patterns. From those patterns, pluck responses for each element and A/B test them against each other. Do this one at a time so your results are uninfluenced by one another. Keep iterating until you find the combination that drives the best results. One thing to keep in mind is that you can be fairly broad in your intent (hook) and description testing, but when testing your promise statements be sure to constrain tests to what the product is authentically great at delivering (the must have benefit). The result should be an increased conversion rate from your homepage of the right type of people, and a boost in word of mouth traffic. But the user insights you’ve collected shouldn’t stop here. They can also be applied to user onboarding, which is the last step in Sean’s framework to unlocking organic growth. Now that you know where your product’s core value lives, you’ve got to find ways to get your new users to your “Must Have” experience as quickly as possible. 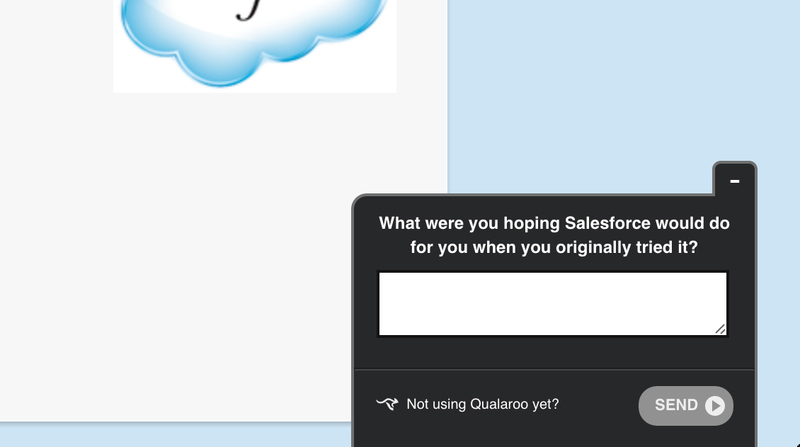 Try creating a reverse funnel, getting users inside of your product before asking them to complete their signup. Or inspire them with a vignette that sneak peeks your product’s magic. And make sure to incorporate annotations and tutorials so your new users know how to use your product and interact with its interface. 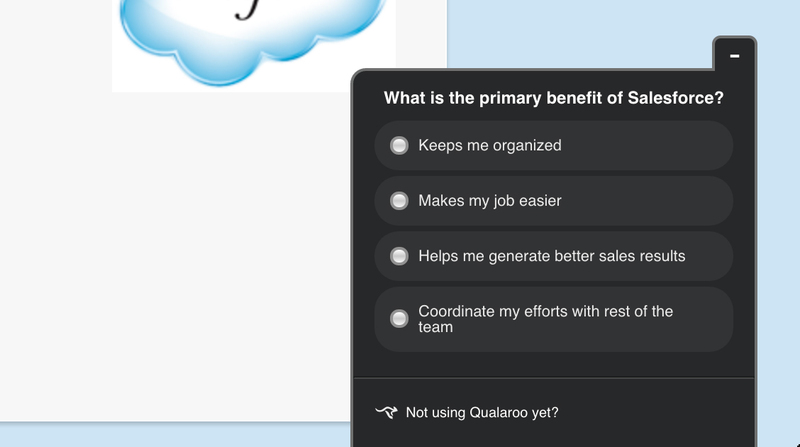 If you want to see a sample of good product onboarding, sign up for Qualaroo and take a look at how they steer and teach you to create user surveys immediately, pushing you towards that “Must Have” category as quickly as possible. And while you’re there, you might as well build your own user surveys, so that you can follow Sean’s framework and unlock your own organic growth. *For a few additional tips from Sean, check out his comments on the post’s thread on GrowthHackers.